Schools are essential to a child’s education. In Nepal, many children don’t go to school because of a lack of money or access. 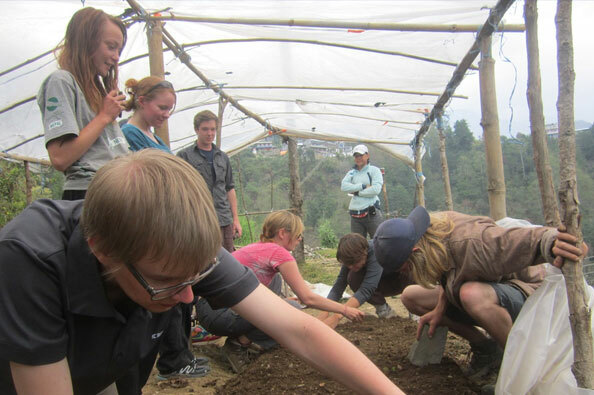 On these placements, volunteers will stay with a host family, eating traditional Nepalese meals and learning about Nepal’s unique culture. Our host families are respected members of the local community and will usually have at least one member who can communicate in English. Education is a priority in Nepal because it is a crucial to the country’s development. However, thousands of children miss out on an education because there are not enough schools in Nepal, especially in rural areas where 75 percent of the country’s population lives. The Nepalese government cannot afford to meet the demand for the construction of new schools. We Volunteer Nepal operates independently from government to close the educational gap in Nepal by staffing community centers across the country that act as educational hubs for children and adults in the surrounding area. Nepal is rapidly turning from an agricultural society into a commercial one. Drastic changes in society are putting the education system under massive strain in all areas. Our goal is to act where the government cannot. We are providing access to basic education for students in rural and disadvantaged areas so all children can contribute to the future of Nepal. If you have any questions, please Contact Us, we would love to hear from you.